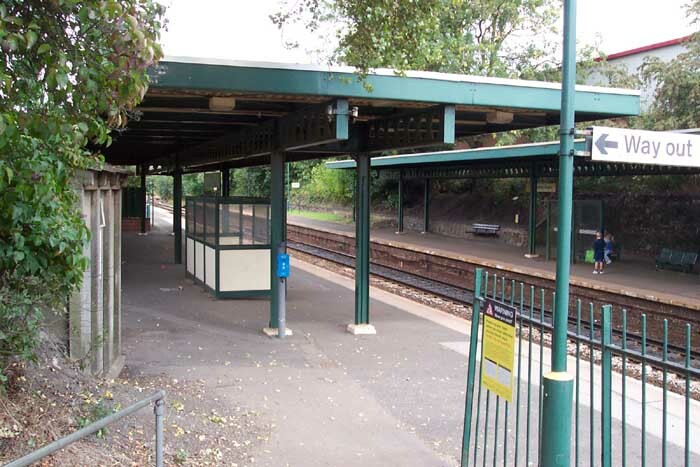 Rowley Regis Station opened in 1867 on the GWR. 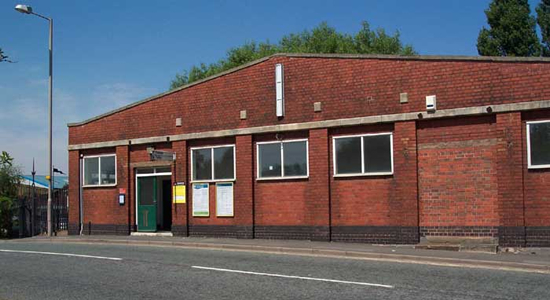 The station is very well maintained and it can be seen from the above photograph, takent in Station Road in July 2003, that at some time one entrance to the building has been bricked-up on the right-hand side. 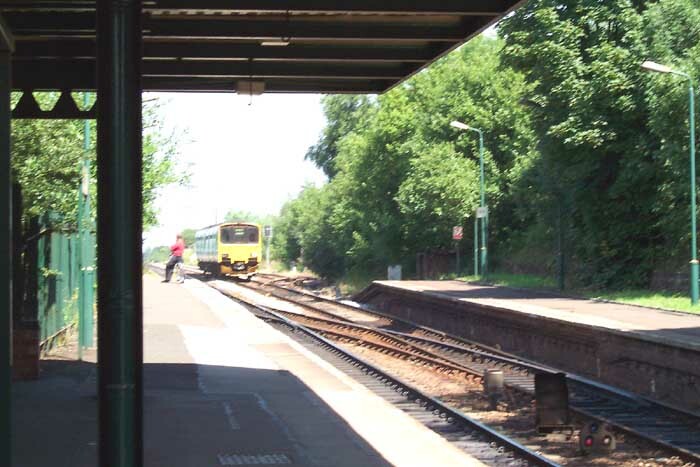 Above-left we see the view looking out towards Langley Green Station. 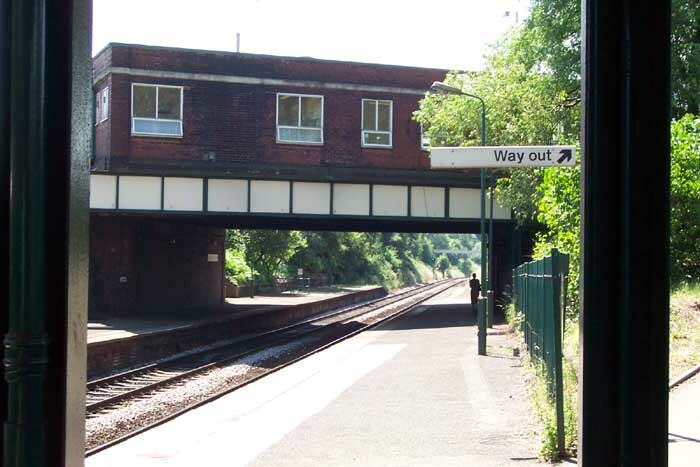 Above-right we see the view from the same spot but looking towards Old Hill with the main station building sitting on the Station Road overbridge. Above-left a DMU approaches from Langley Green and above-right we are looking towards Langley Green once more but this time in the car park of the station with the trackbed to our right. 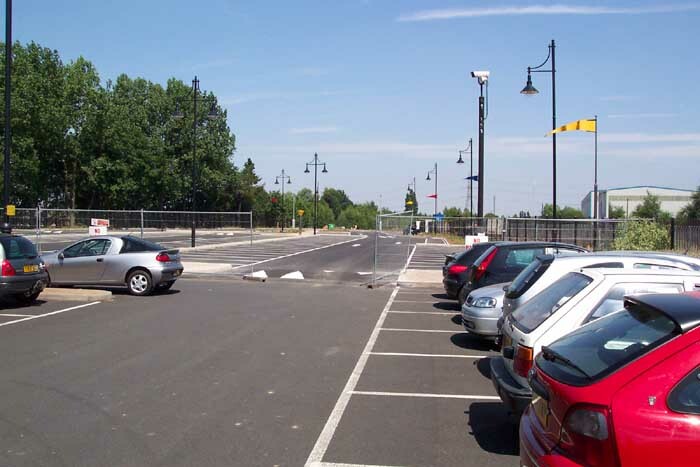 This area of the site was previously occuppied by a Shell fuel terminal which was rail-connected.